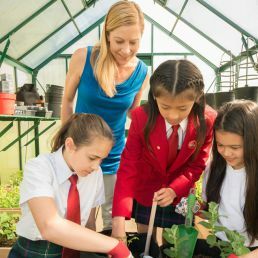 A second home to local girls and students from around the world, SMS has an international reputation as a centre for inquiry-based learning, academic excellence, and girls’ leadership development. We provide empowering education for girls at all levels: starting with the foundational skills built by our pioneering early learning program and elementary grades, our students are given the support and challenges they need to grow and excel straight through middle school and on to successful graduation in Grade 12. 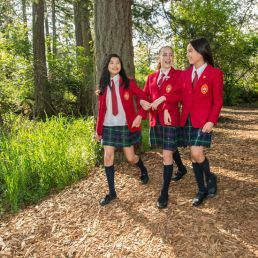 Our boarding school program for Grades 7–12 attracts girls from around the world and enriches learning experiences for all students. Our Foundation Year students learn to be curious, to work together and to love learning. 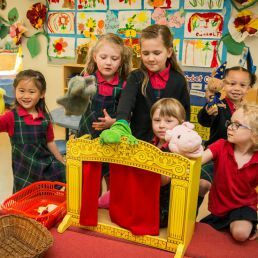 They develop a solid foundation for successful academic achievement, positive peer relationships and a growing sense of responsibility for their own learning. 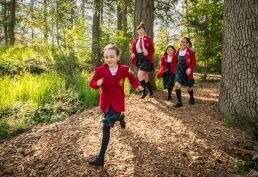 We provide Middle Years girls with the foundations for success: challenges to excel, experiences that inspire, and preparation for the future. In Senior Years, we are focused on preparing our students for life after SMS. Time spent here provides each girl with a sense of her own ambitions and dreams, and a plan to achieve them.